Designed by architects Allford Hall Monaghan Morris, KX200 provides 846 student rooms, 50 market and 14 affordable apartments, offices, retail and private and communal courts. KX200 embodies a much-vaunted but little-realised concept – that of the ‘mixed use’ building. 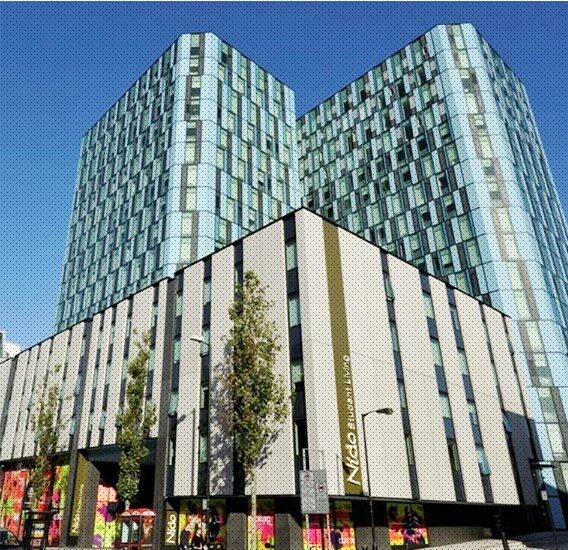 Here the residential accommodation including private apartments, social housing, student halls of residence are located above, below and around offices, shops and restaurants to create a vibrant city block with a range of benefits for residents and the surrounding community.